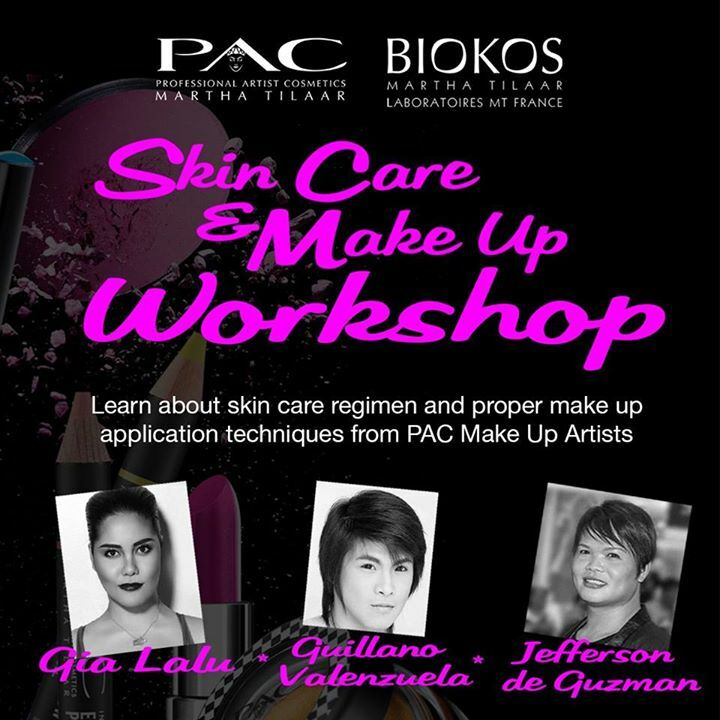 If you are interested to learn new Skincare and Makeup Techniques, PAC Cosmetics and Biokos are partnering up to bring you this workshop this coming September 30th. This will earn you a chance to participate in the workshop. It means if they allocate a spot for you, you will get an invite from them via email. Once you receive it, be sure to send back an email confirming your participation so you can keep your slot. Please be reminded that the notifications may take some time to arrive as they are manually evaluated by the people in charge of the surveys. As of yesterday, we still have a few slots available and we would like for you and your friends to join us. Also joining the workshop are my Team Mates from the PAC Creative Team; Guilly Valenzuela and Jeff De Guzman. So, if you want to meet them and interested to see them in action. This workshop is a venue for it.